Rec Team Tryouts are just around the corner! >>> Wed. April 18th 4-6pm >>> Thurs. April 19th 6-8pm *You MUST sign up to tryout before the DEADLINE: Tues. April 17th, 2018. *A maximum of 20 slots will be available per tryout session. 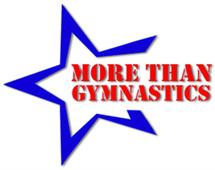 ************************* Our More Than Gymnastics Rec Team is for athletes who want to experience competition in a less competitive environment. Membership in our Rec Team program results when a child is in the pre-team program or in an intermediate or advanced gymnastics class and has tried out and made the rec team, as there are minimum skill requirements for each level of rec team. Most of the recreational gymnasts will start competing at Level 3 or Level 4, depending on the skill level. At MTG we try to give everyone the opportunity to compete but we are limited in the number of roster spots available. A minimum skill level is required. Rec Team Practice is twice a week and it is important to attend all practices. During the summer the athletes are learning the routines that they will compete during the season. Rec Team competes in one competition per month from October to March mostly in the Greater Fort Wayne area.